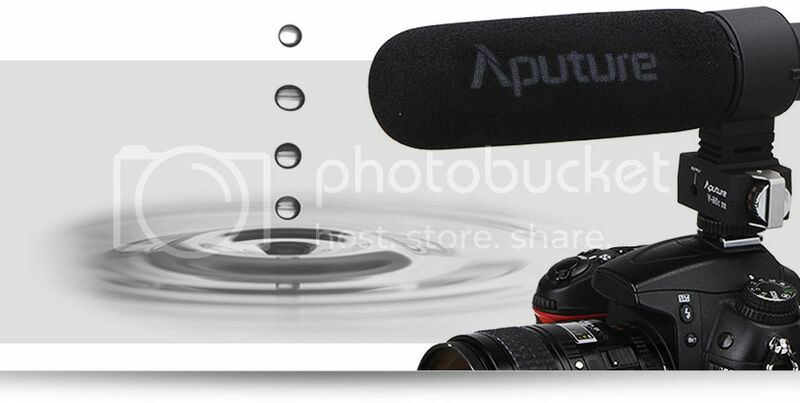 Aputure V-Mic D2, the world first step less sensitivity adjustment shotgun microphone.The sensitivity adjustment of the Aputure V-Mic D2 distinguishes itself in its step-less control. Applying it to variable recording situations, you can adjust sensitivity ranging 40db steplessly from 1 to 10 levels to realise more precise control. 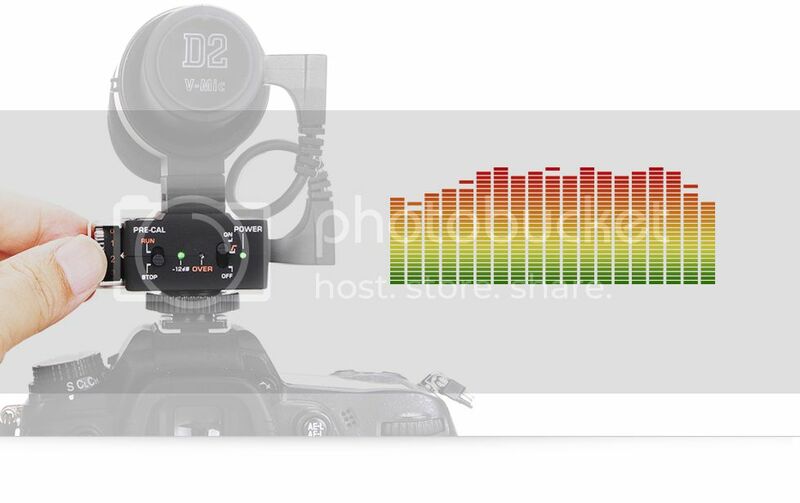 The V-Mic D2 uses pioneering AF-Peak synchronization technology , making it possible to precisely sync with any devices which can adjust sensitivity manually. 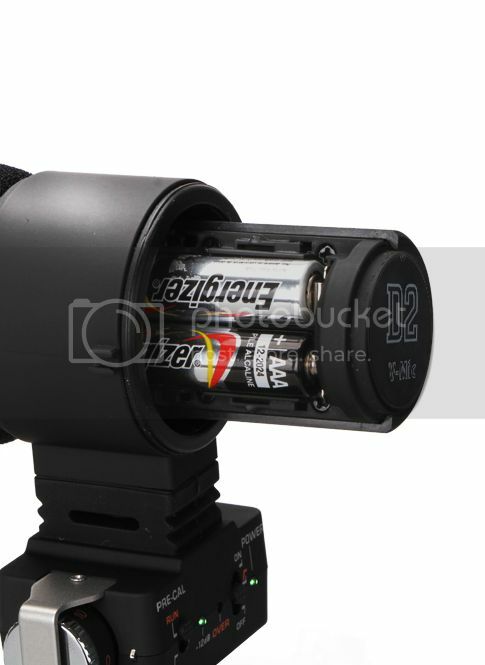 This shotgun microphone can easily show AF-Peak on itself via -12dB and over-indicators after synchronising with your recording device. This displays an instant sensitivity adjustment and ensures a qualified sound. 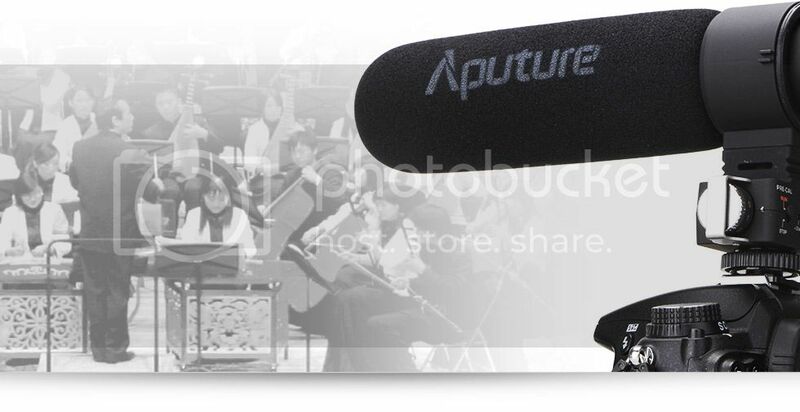 To record voice details in depth, the Aputure V-Mic D2 has an extremely flat frequency response. Every hearable sound frequency can be recognised by the V-Mic D2 to ensure hi-fi sound. The feature makes a more ideal sound when the original recording is personalised in post-processing. The V-Mic D2 shotgun mic can output exact original sound when used in a professional sound recording environment. What is true response? True Response is a flat frequency response that results in a pure, untransformed audio signal.It ensures that what you record is clear and untouched. The V-Mic D2 captures the natural sounds and music of our lives, keeping sensitive audio like familiar voices just as they are. It is the perfect tool for capturing ADR in the studio or creating Foley. 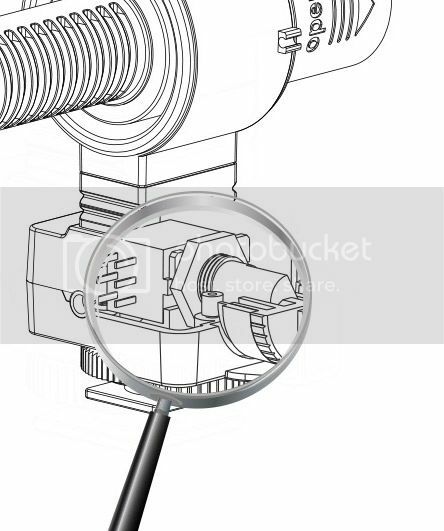 The low-cut filter is easily accessible on the face of the microphone operation panel. 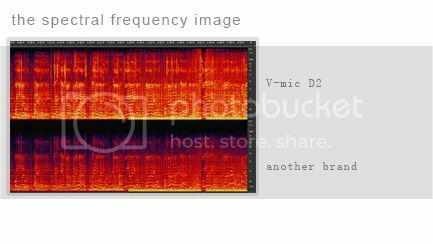 It filters any sound lower than 100hz, which prevents low-end noises such as air conditioners, traffic or the sound of the camera’s native system from being recorded. 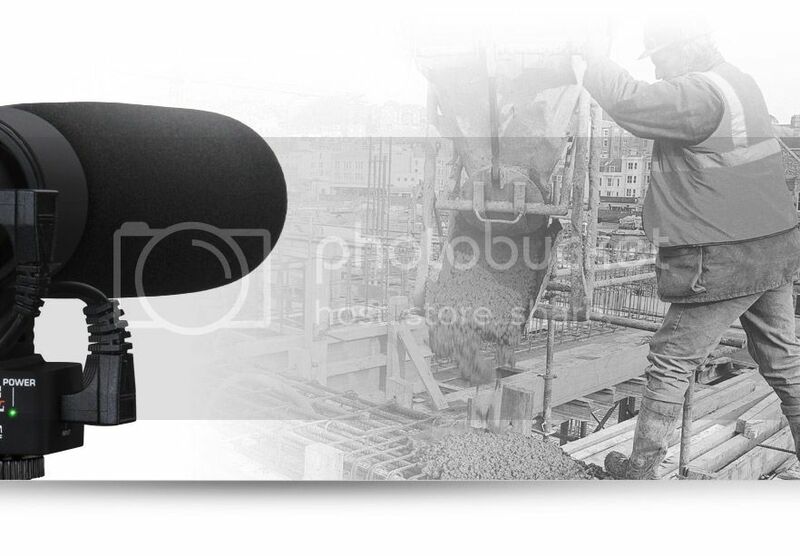 It’s a single step solution to controlling the levels in a noisy environment. When looking for a shotgun microphone, we’re all looking for a quiet one—one that doesn’t generate noise itself. The D2 is a nearly silent videomic. A low noise level is especially desirable when working with low sound-pressure levels so the sound will not drown in noise from the microphone itself. The D2 utilizes an optimized circuit with an output transformer which minimizes the entire electronic stage of noise. 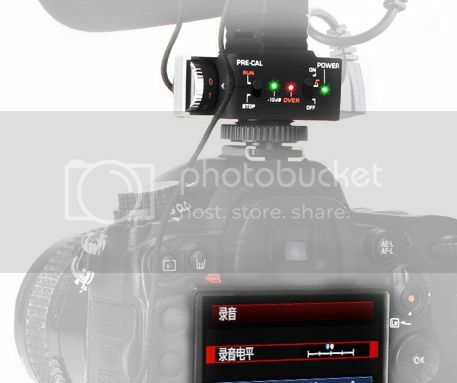 Despite its competitive pricing, the build quality of the V-Mic D2 is exceptional. All the selected components inside D2 ensure the perfect performance. The D2 is a shotgun mic which has had no compromise of quality during the manufacturing. To maximize battery life, Aputure developers have minimized the power consumption of the V-Mic D2. By needing less power, the device increases its signal speed in critical parts of the circuit and lowers power on its non-critical paths. It even uses different transistors in each of its circuit paths in an attempt to further reduce power consumption without losing any performance quality. The V-Mic D2 only takes 0.03w while recording. 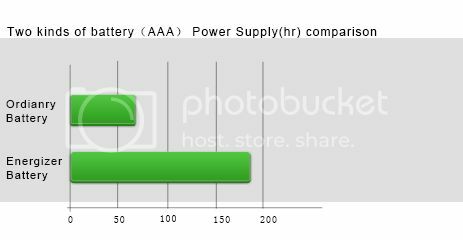 Two AAA batteries can power the V-Mic D2 for over 100 hours.